9. In Denmark, Crown Princess Mary wore a pair of statement earrings for the first day of Copenhagen Fashion Week on Wednesday. 8. The Emperor and Empress of Japan have been on a visit the Philippines; on Friday, Michiko wore pearls to pay tribute at a war memorial in Manila. 7. Princess Astrid of Belgium wore a glittering pair of earrings for a visit to a hospital in Ghent on Tuesday. 6. Queen Sonja of Norway wore pearls for the opening of an art exhibition in London on Wednesday. 5. On Thursday, Queen Elizabeth II of the United Kingdom visited a Norfolk hospice; she chose her Mappin and Webb orchid brooch for the occasion. 4. 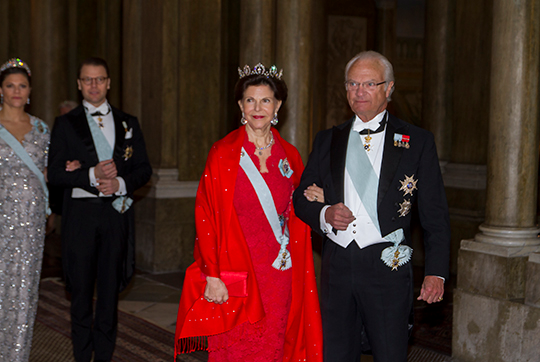 As we discussed yesterday, the tiaras were out in Stockholm for the annual Representatives Dinner on Wednesday. 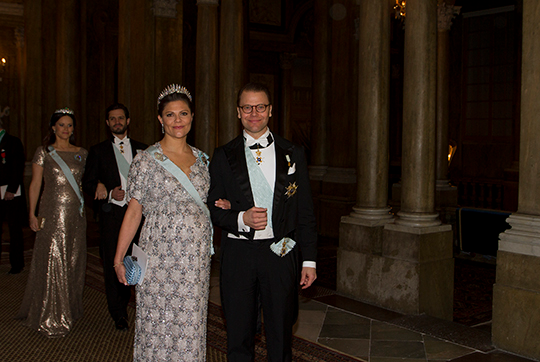 Crown Princess Victoria wore the Baden Fringe Tiara with a pair of dangling earrings that she'd previously donned during Princess Madeleine's wedding festivities. 3. 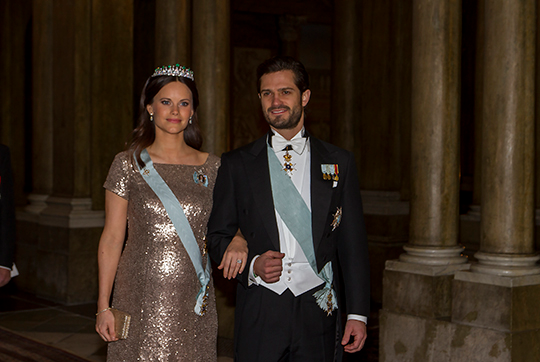 Princess Sofia wore her diamond and emerald tiara again (sigh) for the dinner, but I gave her high marks for the best tiara hair she's donned yet. Her earrings are the same diamond ones from the Bernadotte collection that she wore on her wedding day. 2. 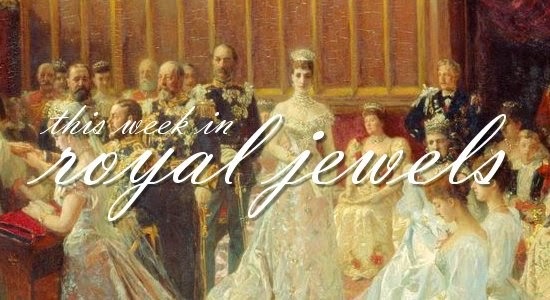 Queen Silvia was dripping in diamonds at the dinner, from her necklace and earrings to the delicate Connaught Diamond Tiara.